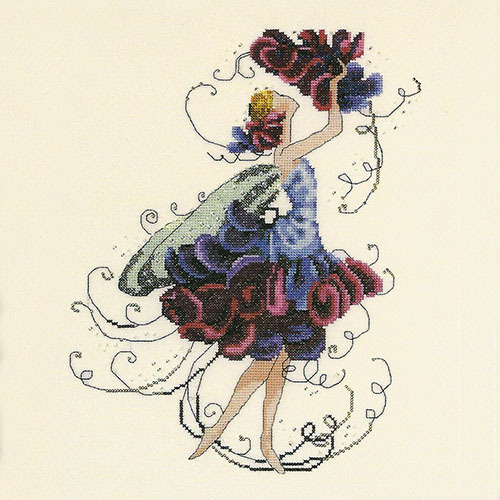 Sweet Pea is one of the Spring Garden Party Collection for Pixie Couture by well-known designer, Nora Corbett. The kit contains all you need to stitch this elegant and beautiful design. All items are as recommended by the designer from fabric to DMC threads to genuine Mill Hill beads and treasures to specialist threads. Design size: 8" x 10.56" with a stitch count of 128 x 169 stitched over two threads. Needles (for stitching and beading). Kit also available without fabric (£39.50), without DMC threads (£34.50), without chart (£34.00) or without both fabric and chart (£30.50).